Is your child ready for Kindergarten? If not, do you know how to prepare your child for Kindergarten? 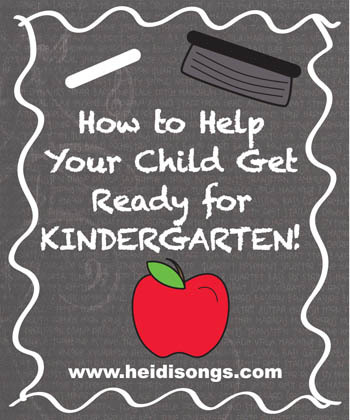 Getting ready for Kindergarten can feel like a very difficult task, but it doesn't have to be! As a Kindergarten teacher with 25 years of experience in the field, I have made a list of the things that I think are the most important skills a child should have before starting school. So here are some things that your child should know before he or she takes that big step, and some easy ways you can help him or her get there. 1. To be ready for Kindergarten, your child should be comfortable separating from you for a few hours each day, and be able to get along with other children. I bet most teachers already know that informational print is an important component of the Common Core State Standards for Language Arts. Children are supposed to begin developing the skills they need to read and understand informational texts as early as Kindergarten- maybe even sooner! But since the typical beginning reader's skills and vocabulary in print are usually quite limited, how can we help children begin to tackle the job of reading for information? 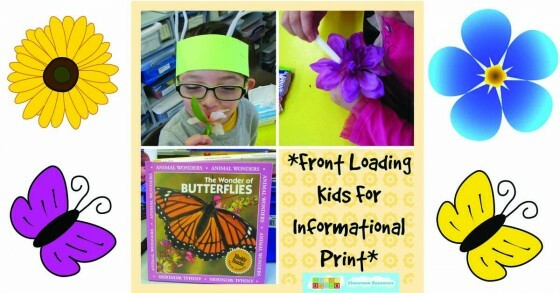 In this post, I am going to tell you how I taught my kindergarten students to listen to, read, and comprehend informational print, and how I prepared them for my own district's tests that were based on the Common Core skills associated with informational print. It was actually a whole lot of fun, and after we did it once, I had wished that I had made more time for it in the school year! HEY!!!!! The Hidden CVC Worksheets, Vol. 2 are FINISHED! They are now posted to both to our website and to my TPT store! Just click on either link and you can find them! There is also a free sample for you to download, too. Just click here ! It is also listed as a freebie on TPT. 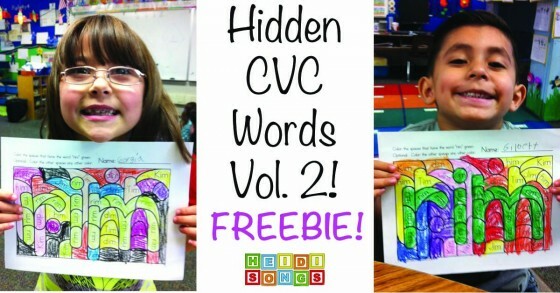 We have Hidden CVC Words for our CVC Books Volume 1 and 2! Some of you that have used our first volume of the Hidden CVC Worksheets may realize that these worksheets actually more complex than volume one! The worksheets in the set for volume one. Notice how the word really stands out plainly on the set for Hidden CVC Words Vol. 1? This particular worksheet above is from CVC Worksheets, Vol. 1. There are fewer sections for the children to color in this set, and the word itself is easier to see- making the entire set easier for a child to do. We tried to make set to just a wee bit harder, making the word and its sections blend in a little bit better with the rest of the puzzle pieces around it. Mother's Day is fast approaching. 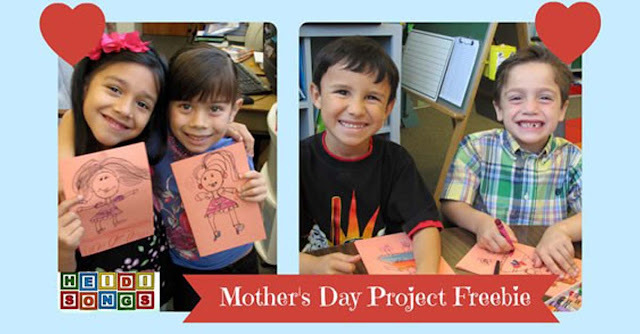 If you are looking for a great classroom project that Moms will love, we have just the thing. Check out our guided drawing Mother's Day Project Freebie that will leave Mom with a hand drawn picture and a sweet note from her baby. I love doing guided drawings in a classroom. It allows everyone to work on the same project at once and allows me to check in on individual progress with a quick scan of the room. I have one important thing to say from experience, something that I seem to forget to do every year: remind the children before you start that this is supposed to be a nice picture of their moms that she will LIKE, and therefore, should NOT be made into a vampire or a monster, since most mom’s wouldn’t appreciate that! There is always SOMEBODY that has to start over. So when you make copies of the cards in preparation, make plenty of extras! Here's a nice learning center freebie that you can make out of old milk or juice carton lids! 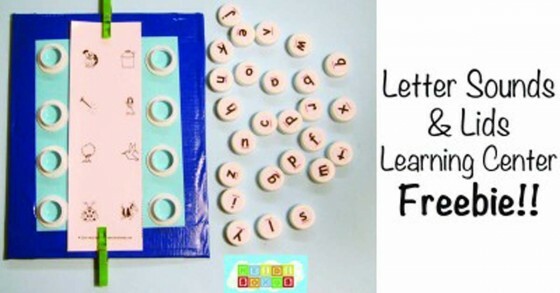 "Beginning Sounds and Twist On Lids" is a great manipulative tool for those students of yours who might be struggling with matching beginning sounds to letters. Screwing the lids on is also great for fine motor skill development! Have you seen these neat little alphabet gems like the ones in the picture above? 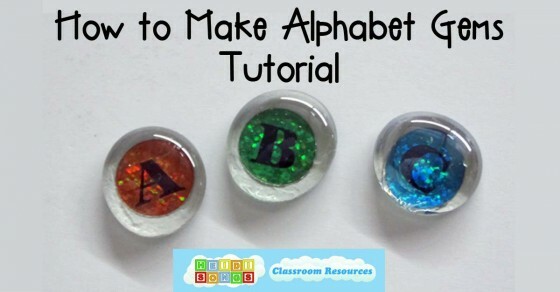 These adorable alphabet gems are so easy to make and can be used for a variety of activities! With so many alphabet and spelling activities, it is great to have tools like these to for word building activities, practicing ABC order, and matching beginning sounds of pictured words to letters, and many other skills! I made these Alphabet Gems using fairly standard crafting materials, some of which came from the good old dollar store! It is important that your gems have one flat side, this is where your sticker will go. Any old alphabet stickers will work for this project, as long as they are smaller than the area of your gem surface. I chose stickers that were circular in shape, and that were glittery, so that the Alphabet "gems" would really live up to their name! Do you think it is possible for a two year old child to learn the entire alphabet- all of the letters and sounds, out of order- just through play, without ever doing any flash card types of activities? Well it IS possible! And today I am going to tell you how one mom did it, just by reading, playing, and singing with her child on a regular basis since birth. Don't believe it? We have a couple of videos that will show you that it can be done! Thought you would like to see my 2 and a half year old and 1 and a half year old doing their alphabet songs! They love "Ms.Heidi"! I brought brought my videos home over the summer and they were hooked! 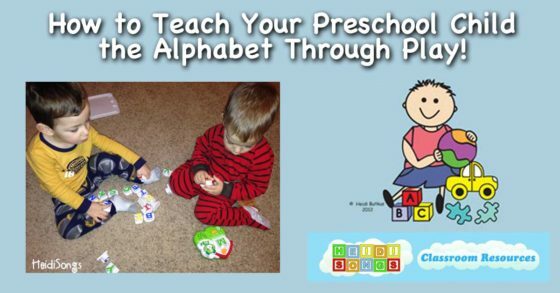 We have to watch the alphabet songs and numbers/shapes at least twice a day!"